ANTUNES IMHR, GONÇALVES LMB. 2018. The “Sete Fontes” groundwater system (Braga, NW Portugal): historical milestones and urban assessment. Sustainable Water Resources Management – SWAM-S-17-00180DOI: 10.1007/s40899-018-0286-9. CAMPOS F, VELASCO T, SANZ G, SANTOS E, ALBUQUERQUE MTD, ANTUNES IMHR. 2016. Ischnura graellsii (Insecta: Odonata) a Water Pollution Biovulnerability Indicator – Probability Mapping using Spatial Uncertainty. River Research and Applications 32/3, 483-489. ISSN 1535-1467. FONSECA, R.; PINHO, C.; OLIVEIRA, M. (2016) – The influence of particles recycling on the geochemistry of sediments in a large tropical dam lake in the Amazonian region, Brazil. Journal of South American Earth Sciences, Elsevier, 72, pp. 328-350. DOI: 10.1016/j.jsames.2016.09.012. Ribeiro da Costa, I., Fonseca, R., Pinho, C., Araújo, A., Martins, L.C., Dias. N., Janeiro, A.I., Freitas, G. (2017) – Mineralogy of contaminated soils and sediments associated with Zn ore metallurgy near the São Francisco River, Minas Gerais (Brazil). Accepted to Journal of Environmental Earth Sciences (EES), Elsevier. 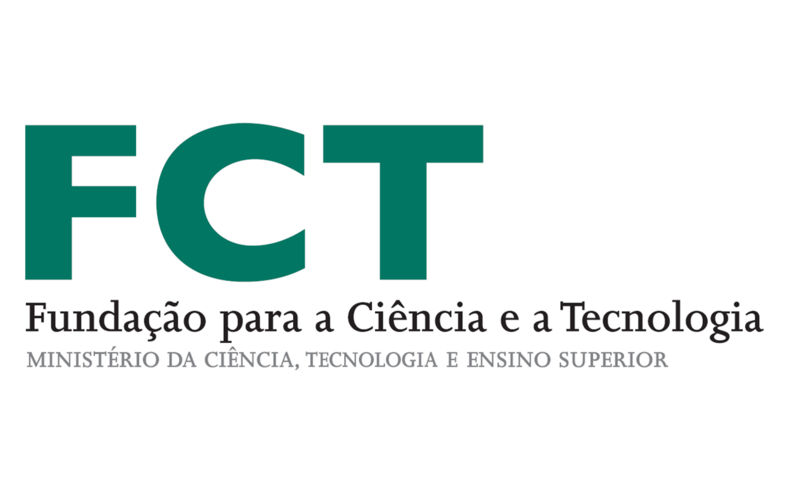 Moreno, J., Fatela, F., Gonçalves, M.A., Leorri, E., Moreno, F., Trigo, R.M., Gómez-Navarro, J.J., Brázdil, R. & Ferreira, M.J. (2018). Climate reconstruction for the Entre-Douro-e-Minho region (NW Portugal) between AD 1626 and AD 1820: synthesis of viticulture data and foraminiferal evidence. Boreas DOI 10.1111/bor.12331. Moreno, J., Fatela, F., Leorri, E. & Moreno, F. (2017). Records from marsh Foraminifera and grapevine growing season temperatures reveal the hydro-climatic evolution of the Minho region (NW Portugal) from 1856–2009. Journal of Foraminiferal Research 47 (2), 208–218. Moreno, J., Fatela, F., Moreno, F., Leorri, E., Taborda, R. & Trigo, R.M. (2016). Grape Harvest Dates as Indicator of Spring-Summer Mean Maxima Temperature Variations in the Minho Region (NW of Portugal) since the 19th century. Global and Planetary Change 141, 39–53. T.O. SOYOL-ERDENE, T. VALENTE , J.A. GRANDE, M.L. DE LA TORRE (2018) – Mineralogical controls on mobility of rare earth elements in acid mine drainage environments. Chemosphere 205, 317-327. JEROME VIERS, JOSE ANTONIO GRANDE, CYRIL ZOUITEN, REMI FREYDIER, JEREMY MASBOU, TERESA VALENTE, MARIA-LUISA DE LA TORRE, CHRISTINE DESTRIGNEVILLE, OLEG S. POKROVSKY (2018) – Are Cu isotopes a useful tool to trace metal sources and processes in acid mine drainage (AMD) context? Chemosphere, 193, 1071-1079. J.A. GRANDE, M. SANTISTEBAN, E. PÉREZ-OSTALÉ, T. VALENTE, M.L. DE LA TORRE, P. GOMES, F. BARRIOS PARRA. (2017) – Dilution Versus Pollution in Watercourses Affected by Acid Mine Drainage: A Graphic Model for the Iberian Pyrite Belt (SW Spain). Mine Water Environ. DOI 10.1007/s10230-017-0495-8. MORENO J.; FATELA F.; LEORRI E.; MORENO F.; Freitas C.; Valente T.; ARAÚJO M.F. ; GÓMEZ-NAVARRO J.J; GUISE L.; Blake W.H. (2017). Bromine enrichment in marsh sediments as a marker of environmental changes driven by Grand Solar Minima and Anthropogenic activity (Caminha, NW of Portugal). Science of the Total Environment, 580, 324–338. https://doi.org/10.1016/j.scitotenv.2016.11.130. PRUDÊNCIO M.I. ; VALENTE T.; MARQUES R.; SEQUEIRA BRAGA M.A. ; PAMPLONA J. (2017). Rare earth elements, iron and manganese in ochre-precipitates and wetland soils of a passive treatment system for acid mine drainage. Procedia Earth and Planetary Science 17 ( 2017 ) 932 – 935. BLASCO M.; GAZQUEZ M.J.; PEREZ-MORENO S.M. ; GRANDE J.A. ; VALENTE T.; SANTISTEBAN M.; DE LA TORRE M.L. ; BOLIVAR J.P. (2016). Polonium behavior in reservoirs potentially affected by acid mine drainage (AMD) in the Iberian Pyrite Belt (SW of Spain). Journal of Environmental Radioactivity 152, 60 – 69. DOI:10.1016/J.JENVRAD.2015.11.008. PEREZ-OSTALÉ E.; GRANDE J.A. ; VALENTE T.; DE LA TORRE M.L. ; SANTISTEBAN M., FERNANDEZ P.; DIAZ-CURIEL J. (2016). Relationships between sources of acid mine drainage and the hydrochemistry of acid effluents during rainy season in the Iberian Pyrite Belt. Water Science & Technology, 73 Issue 2, 345-354. DOI: 10.2166/wst.2015.500. VALENTE T.; GRANDE J. A.; CERON J. C.; DE LA TORRE M. L.; SANTISTEBAN M.; BORREGO J.; FERNANDEZ P.; SANCHEZ-RODAS D. (2016). Spatial distribution of major and trace elements in a mining dam: sources and relationships among elements of environmental concern. Environment Earth Science, 75 (4), 342, 1-11. DOI 10.1007/s12665-015-4863-z. GRANDE J.A. ; DE LA TORRE M.L ; SANTISTEBAN M.; VALENTE T.; FERNANDEZ P.; PÉREZ-OSTALÉ E. (2016). Spatial evolution of an AMD stream in the Iberian Pyrite Belt: Process characterization and control factors on the hydrochemistry. Hydrological Sciences Journal. DOI 10.1080/02626667.2014.983515. SANTISTEBAN, M.; VALENTE, T.; GRANDE, J.A. ; DE LA TORRE, M.L. ; ALMEIDA, S.; PÉREZ OSTALÉ, E. AND GARCÍA PÉREZ, M. (2016). Study of the transit and attenuation of pollutants in a water reservoir receiving acid mine drainage in the Iberian Pyrite Belt (SW Spain). Water Science and Technology, 16(1), 128-134. DOI: 10,2166/ws,2015,122. DE LA TORRE M.L. ; GRANDE J.A. ; VALENTE T.; SANTISTEBAN M. PEREZ-OSTALE E.; SANCHEZ-RODAS D. (2016). A statistical determination of the transit speed of pollutants in a water reservoir affected by acid mine drainage from the Iberian Pyrite Belt. Mine Water and the Environment. DOI 10.1007/s10230-016-0390-8. DE LA TORRE M.L. ; VALENTE T.; GRANDE J.A. ; PÉREZ-OSTALÉ E.; SANTISTEBAN M.; AROBA J.; RAMOS I. (2016). Definition of redox and pH influence in the AMD mine system using a fuzzy qualitative tool (Iberian Pyrite Belt, SW Spain). Environmental Science and Pollution Research, 23(6), 5451-5458. DOI: 10.1007/s11356-015-5718-6. Gomes P.; Valente T.; Sequeira Braga M.A. ; Grande J.A. ; de la Torre M.L. (2016). Enrichment of trace elements in the clay size fraction of mining soils. Environmental Science and Pollution Research. 23(7), 6039-6045. DOI 10.1007/s11356-015-4236-x. VALENTE T.; RIVERA M.J.; ALMEIDA S.; DELGADO C.; GOMES P.; GRANDE J.A. ; DE LA TORRE M.L. ; SANTISTEBAN M. (2016). Characterization of water reservoirs affected by acid mine drainage: geochemical, mineralogical, and biological (diatoms) properties of the water. Environmental Science and Pollution Research. 23(7), 3002-6011. DOI: 10.1007/s11356-015-4776-0. VALENTE T.; RIVERA M.J.; ALMEIDA S.; DELGADO C.; GOMES P.; GRANDE J.A. ; DE LA TORRE M.L. ; SANTISTEBAN M. (2016). Erratum to Characterization of water reservoirs affected by acid mine drainage: geochemical, mineralogical, and biological (diatoms) properties of the water (Environ Sci Pollut Res, DOI 10.1007/s11356-015-4776-0). Environmental Science and Pollution Research, 23(7), 3012-6013. DOI: 10.1007/s11356-015-4776-0. GONÇALVES N.; VALENTE T.; GRANDE J.A. (2015, in press). Water quality in the Municipality of São Domingos (Santiago, Cape Verde). Comunicações Geológicas 102 V. especial I.
PRUDÊNCIO M.I., VALENTE T., MARQUES R., SEQUEIRA BRAGA M.A., (2015). Geochemistry of rare earth elements in a passive treatment system built for acid mine drainage remediation. Chemosphere, 138, 691-700. DOI: 10.1016/j.chemosphere.2015.07.064. VALENTE T.; Grande J.A. ; De la Torre M.L. ; GOMES P.; SANTISTEBAN M.; BORREGO J.; SEQUEIRA BRAGA M.A. (2015). Mineralogy and geochemistry of a clogged mining reservoir affected by historical acid mine drainage in the RioTinto mines, Iberian Pyrite, SW Spain. Journal of Geochemical Exploration, 157, 66-76. DOI: 10.1016/j.gexplo.2015.05.016. VALENTE T.; GOMES P.; SEQUEIRA BRAGA M.A. ; DIONISIO A.; PAMPLONA J.; GRANDE J.A. (2015). Iron and arsenic-rich nanoprecipitates associated to clay minerals in sulfide-rich waste dumps. Catena, 1-13. DOI: 10.1016/j.catena.2015.03.009. DE LA TORRE M.L. ; GRANDE J.A. ; VALENTE T.; SANTISTEBAN M.; PÉREZ-OSTALÉ E.; SÁNCHEZ-RODAS D. (2015). Hydrochemical changes in a reservoir that receives water contaminated by acid mine drainage. Hydrology Research, 46 (3), 303-312. DOI: 10.2166/nh.2014.114. GRANDE J.A. ; DE LA TORRE M.L. ; VALENTE T.; BORREGO J.; SANTISTEBAN M.; CERÓN J.C.; SÁNCHEZ-RODAS D. (2015). Stratification of metal and sulphate loads in acid mine drainage receiving water dams – Variables regionalization by cluster analysis. Water Environment Research, 86. DOI: 1061 WER/2013-Nov-123-0. SANTOS N.; SANTOS C.; VALENTE T.; ALMEIDA V.; CORREIA-NEVES M. (2015). Widespread Environmental Contamination with Mycobacterium tuberculosis Complex Revealed by a Molecular Detection Protocol. PLOS ONE. DOI: 10.1371/journal.pone.0142079. MORENO J.; FATELA F.; LEORRI E.; ARAÚJO M.F. ; MORENO F.; DE LA ROSA J.; FREITAS M.C. ; VALENTE T.; CORBETT D.R. (2015). Bromine enrichment in marsh sediments as a marker of environmental changes driven by Grand Solar Minima and Anthropogenic activity (Caminha, NW of Portugal). Science of the Total Environment, 15, 554–566. DOI 10.1016/j.scitotenv.2014.11.062. SANTISTEBAN M.; GRANDE J.A. ; DE LA TORRE M.L. ; VALENTE T.; CERÓN J.C. (2015). AMD in semi-arid regions: The extent of the problem in the waters of reservoirs in the Iberian Pyrite Belt (SW Spain). Hydrology Research, 46, 153-167. DOI 10.2166/nh.2013.086. GOMES P.; VALENTE T. (2014). Geochemical evolution of mining wastes and trends of natural rehabilitation. Comunicações Geológicas, 101 (2), 1001-1004. GOMES P.; VALENTE T.; SEQUEIRA BRAGA M.A. ; PAMPLONA J.; GRANDE J.A. (2014). Acid mine drainage indicators in a system affected by mining contamination – the case study of Penedono mining waste dump. Comunicações Geológicas, 101 (2), 1005-1009. GOMES P.; VALENTE T.; PAMPLONA J.; SEQUEIRA M.A. ; PISSARRA J.; GRANDE J.A. ; DE LA TORRE M.L. (2014). Metal uptake by native plants and revegetation potential of mining sulfide-rich waste-dumps. International Journal of Phytoremediation, 16, 1087-1103. DOI 10.1080/15226514.2013.810586. PAMPLONA J.; VALENTE T. (2014). Landslides risk evaluation: proposal of a methodology. Comunicações Geológicas, 101 (2), 923-926. SANTISTEBAN M.; GRANDE J.A. ; DE LA TORRE M.L. ; VALENTE T.; PÉREZ-OSTALÉ, E. CERÓN J.C.; AROBA, J. (2014). Fuzzy Intelligence approach for modeling the migration of contaminants in a reservoir affected by AMD pollution. Mine Water and the Environment, 34, 42-51. DOI 10.1007/S10230-014-0321-5. SALGUERO F.; GRANDE J.A. ; VALENTE T.; GARRIDO R.; DE LA TORRE M.L. ; FORTES J.C.; SÁNCHEZ A. (2014). Recycling of manganese gangue materials from waste-dumps in the Iberian Pyrite Belt – application as filler for concrete production. Building and Construction Materials, 54, 363-368. DOI 10.1016/j.conbuildmat.2013.12.082. CERÓN J.C.; GRANDE J.A. ; DE LA TORRE M.L. ; BORREGO J.; SANTISTEBAN M.; AND VALENTE T. (2014). Hydrochemical characterization of an acid mine drainage-affected water reservoir: the Sancho Dam (Huelva, SW Spain). Hydrological Sciences Journal, 59, 6, 1213-1224. DOI 10.1080/02626667.2013.834341. VALENTE T.; GRANDE J.A. ; SALGUERO F.; SÁNCHEZ A. (2014). Mn mining wastes as an industrial income for concrete production: inventory of waste dumps and resources estimation in the Iberian Pyrite Belt, SW Spain. Exploration and Mining, Mineral Processing, 3(1), 371-378. DOI 10.5593/sgem2014B13. GRANDE J.A. ; DE LA TORRE M.L. ; VALENTE T.; AROBA J.; SANCHIS J.; SANTISTEBAN M. (2014). The application of fuzzy logic techniques to the characterisation of treatment systems in two sewage plants. Hydrology & Water Resources, 1(3), 715-722. DOI 10.5593/sgem2014B31. GRANDE J.A, VALENTE T.; DE LA TORRE M.L. ; PÉREZ-OSTALÉ E.; CERÓN, J.C.; SANTISTEBAN, M. (2014). Characterization of acid mine drainage sources in the Iberian Pyrite Belt: base methodology for quantifying affected areas and for environmental management. Environmental Earth Sciences, 71, 2729-2738. DOI 10.1007/s12665-013-2652-0. Pedro Terrinha, Adrià Ramos, Marta Neres, Vasco Valadares, João Duarte, Sara Martinez-Loriente, Sónia Silva, João Mata, José Carlos Kullberg, António Casas-Sainz, Luis Matias, Oscar Fernandez, Josep Anton Muñoz, Carlos Ribeiro, Eric Font, Conceição Neves, Cristina Roque, Filipe Rosas, Luís Pinheiro, Rafael Bartolomé, Valenti Sallarès, Vitor Magalhães, Teresa Medialdea, Luis Somoza, Eulàlia Gràcia, Christian Hensen, Marc-André Gutscher, António Ribeiro, Nevio Zitellini. (accepted for publication). The Alpine orogeny in the West and Southwest Iberia Margins. In: The Geology of Iberia: geodynamic approach. C. Quesada and J. T. Oliveira (eds.). Springer. 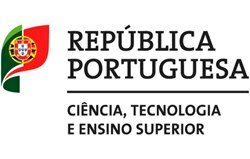 Pedro Terrinha, José Kullberg, Marta Neres, Tiago Alves, Adrià Ramos, Carlos Ribeiro, João Mata, Luís Pinheiro, Alexandra Afilhado, Luís Matias, Joaquim Luís, Josep Anton Muñoz, Oscar Fernandez (accepted for publication). Rifting stages: Southwest Iberia and West Iberia Margins. In: The Geology of Iberia: geodynamic approach. C. Quesada and J. T. Oliveira (eds.). Springer. Duarte, D., Magalhães, V. H., Terrinha, P., Ribeiro, C., Madureira, P., Pinheiro, L. M., … & Duarte, H. (2017). Identification and characterization of fluid escape structures (pockmarks) in the Estremadura Spur, West Iberian Margin. Marine and Petroleum Geology, 82, 414-423. Ramalho, S. P., Ribeiro, C., Hensen, C., Scholz, F., Nuzzo, M., Terrinha, P., & Adão, H. (2018). Benthic nematode biodiversity of the Abzu, Tiamat and Michael Ivanov mud volcanoes located along the SWIM fracture zone (Gulf of Cadiz). Marine Biodiversity, 48(1), 423-438. Guerreiro, P., Cunha, L., & Ribeiro, C. (2016). Central Algarve karst system tufa-related dynamics, Portugal. Journal of Maps, 12(sup1), 108-114. Pereira, M. F., Ribeiro, C., Gama, C., Drost, K., Chichorro, M., Vilallonga, F., … & Linnemann, U. (2017). Provenance of upper Triassic sandstone, southwest Iberia (Alentejo and Algarve basins): tracing variability in the sources. International Journal of Earth Sciences, 106(1), 43-57. Branco, J., Pedro, S., Alves, A. S., Ribeiro, C., Materatski, P., Pires, R., … & Adão, H. (2018). Natural recovery of Zostera noltii seagrass beds and benthic nematode assemblage responses to physical disturbance caused by traditional harvesting activities. Journal of Experimental Marine Biology and Ecology, 502, 191-202. 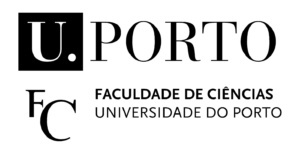 Marinheiro, J., Mateus, O., Alaoui, A., Amani, F., Nami, M., & Ribeiro, C. (2014). New Quaternary fossil sites from the Middle Atlas of Morocco. Comunicações Geológicas, 101(Especial I), 485-488.